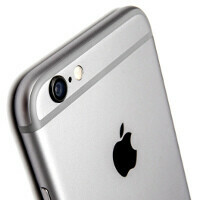 The next Apple iPhone expected to bask in huge demand, component production to begin soon? Half a year ago, Apple showed us both the iPhone 6 and the iPhone 6 Plus for the first time; roughly half a year from now, we expect the next iPhone generation to get unraveled. It's never too early to talk about "the next iPhone" - we've already heard a surplus of speculations through the grapevine, some of which regard the hardware, while others the possible new features of the smartphone. Many sources however seem to agree that just like the current crop of record-breaking iPhones, 2015's rendition of Cupertino handset(s) will most certainly bask in the same market popularity, if not more. This is reportedly making Apple and its contractors in particular go the "better-safe-than-sorry" way - it's said that the latter are about to undertake mass production of the hardware components for the device starting sometime in Q2 2015, so that they could meet the forecasted huge demand and prevent inventory shortages beforehand. As a refresher, the next iPhone is expected to feature 2GB of RAM, improved Touch ID-enabled home button to better suit Apple Pay, as well as a display that is able to distinguish between lighter and harder taps. I mean no disrespect, but those features hardly seem like system sellers to me. I'm still predicting a massive decline in demand for the iPhone 6S. Lol! I heard that since 2007. iPhone has never had a decline homeboy! They never give you a breakdown for how many each model sold. Like what they did last quarter, 75million iPhones sold, but we didn't know how much the 6/6+ sold, or the 5s and 5c. No one is saying Apple won't sell more iPhones when the 6s is released, but i doubt that the 6s will outsell the 6. So then you are insinuating that they will forever and for always sell more each year until the end of days? There's plenty of reasoning that would support my theory. I'm actually waiting for that very decline. I would like someone to threaten apple a bit so they can really do a nice upgrade. Not going to happen for a long time since the vast majority of Apple's sales come from the US where subsidies usually negate having to think about value to price ratio. Free market balancing requires people to "think" at margin and be informed, which is not a good description of the market Apple targets. They really are masters of positioning and marketing. "the vast majority of Apple's sales come from the US where subsidies usually negate having to think about value to price ratio"... these subsidies are the results of contracts the consumer has with the wireless service provider, I'm no expert, but I believe that in general these contracts last TWO years. Now, taking what you said about people relying on subsidies, and the massive sales of this year's iPhone, I think that logic would lead someone to think that the majority of those iPhone 6 & 6 plus owners (Who are still under contract) will opt to skip paying full price for a device that doesn't really impact the overall user experience like a significantly larger display. You would think that everyone upgraded but a lot of them will not have done so due to those 2 year contracts. The S upgraders usually stick to the S upgrade and those are fairly sizable in number. Not only that but a good deal of iPhone owners are probably still using the older models. Finally, the iPhone is the gateway to smartphones since it is a step up from a dumb phone while Droid and WP still have the image of being actual smartphones. So new users usually gravitate towards the iPhone at the start. This. Sometimes companies need a good kick in the pants. Look at what Samsung was able to achieve after the S4 and S5 failed to impress. Companies get too cocky. And recent interviews with Jonny Ive show just how cocky they can get. no,i agree with him. i dont like apple, let me say that outright. but the reason being is that there obv would be more demand for a new model (i.e. the 5,6,7...) due to the new design. The 6 was in such demand because the new body style and looks. The 6s (assuming to have the same body style) will not make as many 6 owners drop their phone to upgrade. im sure many 5s owners dropped their year old phone to go run and grab the 6 due to the new body. Droiders say that every year, and every year it out sells the last. I also think they won't be able to hold the sales they had with the 6/6+ because the jump from 5s to 6 was huge for a lot of people. And since many have a 2 year contract they won't buy the 6s. But you never know. It's Apple. But I really don't hope that the sales decline..I couldn't stand all these stupid comments here that would people make. Yes - The bigger form factor card is spent and that was the strongest card they had. They had millions of customers dying for a bigger screen and when that happened they all rushed to buy it. Now they have one and the big shift is done. So, there will be a big decline in iPhone sales with the 6S. Pair that with the Apple Watch flop and Apple will have a year to remember. I don't know nearly enough about the smart watch market to make a confident prediction on it. I'm just skeptical about the 15 million sales predictions that people are talking about. A harder push just means more likely to drop due to imbalance, especially with one handed use (unlike a watch on your wrist or trackpad on your computer). For the UI, it's hardly different from a slightly longer push, as often a hard push will result in a slightly longer push in practise too. For games, one extra function (nothing/soft tap/hard tap vs nothing/tap) to the same button, is hardly what I would call a dealbreaker too. Not to be confused with fully variable pressure sensitivity (as seen with the stylus on Note series for example), where it would allow for a lot more functions in apps and specifically games (think variable throttle for example). Force touch is hardly a game changer. And I seriously doubt Android users will flock to Apple devices because of this. Also why do you mention the curved display? It has absolutely nothing to do with the topic. Oh yeah? My Note 4 (and my Note 1 and 2) also do this. 2048 levels of pressure sensitivity on the Note 4! No it won't. Apple needed to break the 4" is perfect rule to have a good reason for people to get the new iPhone 6. The only phone that will sell better than the iPhone 6 is the one that will come equipped with a 5 inch screen. I dont ssee this seling as good because everyone who would want it already has the 6/6+... and since most people are on 2yr contracts in America, they lose a lot of sales in that region. Thats why they only do minimal upgrades (for lack of a better word) every other year... the die hards will go buy one off contract and the rest will feel like their not missing much except a small implementation until they get a contract renewal.